Okay, so this series is just growing and growing. I believe this should be the last entry. I just really like psionics and I thought this would be an interesting topic. So now we've looked at how psionics work in OD&D and AD&D, and examined how they compare and contrast with one another. Certainly it seems to me that while OD&D's system is a bit simpler and more straightforward, AD&D's system is clearer, cleaner, and more balanced, less likely to overpower a character who has the abilities. What occurred to me, then, is how psionics could be used in other games. Since the system itself is a sort of self-contained "bolt on" subsystem, it can pretty seamlessly be dropped in a range of other games. I'll look at a few below, but honestly, most of them, the process will be, "just drop 'em in!" Note that this section also applies to retroclones like Labyrinth Lord, Basic Fantasy, OSRIC, and others derived from these games. It seems appropriate to start with the "basic" versions of D&D. I am on record feeling that while AD&D is an evolution of the OD&D rules--an expansion and clarification of OD&D with everything from all the supplements, B/X and BECMI are more of a true second and third edition of OD&D, respectively, taking it back to the core books, streamlining and revising the rules while keeping the open play style, and building from there. Many people disagree (most of whom are simply coming from the position of, "I hate basic D&D," and not from any rational reasoning), and that's fine. I stick by my assertion. To that end, theoretically the psionics rules should dump in easily. In fact, a lot of people who play older versions of the game tend to freely mix and match elements between the two. I've even sat at tables where an Elf Thief from AD&D was run alongside an Elf-as-Class from BD&D, and there were no issues. With its release of the Advanced Edition Companion and Original Edition Characters supplements, the Labyrinth Lord retroclone even proved this was possible. How, then, can we apply psionics to the B/X or BECMI games? In truth, as with many of the games here, it's a matter of deciding which system you want to use, and dropping it in. The biggest hurdle, for many gamers, is going to be adopting the percentile system for psionics. 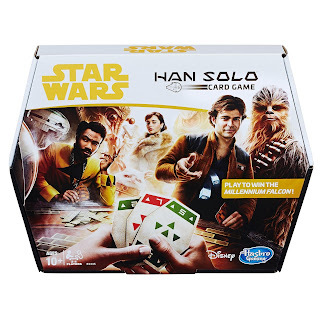 Percentile dice play a much smaller role in the B/X and BECMI versions of the game, so it might be a bit jarring for players to suddenly face such a system. This is especially true in an era where people are obsessed with "universal resolution mechanics"; that is, one roll to rule them all. As a DM, how could you handle this? One way is to try and convert the psionics rules to a d20 system, but that's onerous, if not complicated. Essentially, you'd have to convert all percentages to a d20 result by dividing by 5 and dropping fractions. The result would be the number you need to roll below on a d20 for success. I haven't actually tried this, so I can't say how effective a solution it would be, but I imagine it would be a headache at best. The more obvious solution is just to use them as they sit. If players seem to feel that percentages are odd, simply point out that it's no different than how thief skills work, and move on. Next, the question remains as to which system to use? Again, this is a choice of picking one and going with it. OD&D would seem the logical choice, as basic D&D is a direct descendant of OD&D, but one needs to consider the sheer power potential of OD&D psionics, and their effect on class abilities. In the end, that's up to the DM, but in truth, psionics should work just fine int he context of a B/X or BECMI game, espeically one that seeks to mimic play in worlds like Darkover, Witch World, or Barsoom. I had to mention this one, given that I write for Troll Lord Games. There is already an official psionics system for the SIEGE Engine--it's contained in the Amazing Adventures role playing game, and both the system and the Mentalist character class drops right into Castles & Crusades with ZERO changes. They get the weapons of a rogue, the armor of a druid, and you're done. There are those, however, who love C&C for the way it hearkens back to AD&D, and who may wish to import the original D&D psionics systems into their C&C game. Again, there's no problem with this. Simply get a handle on the AD&D system, drop it into your game, and roll with it. The problem of percentiles still exists, exactly as in B/X and BECMI, but even more. There's almost zero usage of percentile dice by players in the C&C game--it truly uses a universal resolution mechanic. Converting the rolls to a SIEGE check, in this case, would see all percentages divided by 10, dropping fractions, and subtracting the result from 10. This would give the CL of a given check, which would be added to the level of the opponent, as normal. For example, if the attack matrix gives a percentage of 35, dividing this by 10 would be 3.5. Dropping the fraction, you get 3, and subtracting 3 from 10 gives you 7. You'd have a CL 7 check, plus the level of the victim, quite a difficult check, in line with the 35% chance of success. On the other hand, if you have a 99% chance of success, dividing this by 10 is 9.9. Dropping fractions, it's 9, which subtracted from 10 is a CL 1 check. This certainly is not a comprehensive conversion system; it's a guideline and a jumping off point, should you wish to convert AD&D psionics to the SIEGE check system. My recommendation, however, would be simply to import the percentages, and use the system as it sits. Since C&C is more directly based on AD&D than any other edition of the game, the AD&D psionics system would be recommended. One thing you'll need to address is saving throws. Any saving throw for a non-psychic against psionic attack in Castles & Crusades should be represented by a Wisdom save with a CL equal to the level of the psychic making the attack. 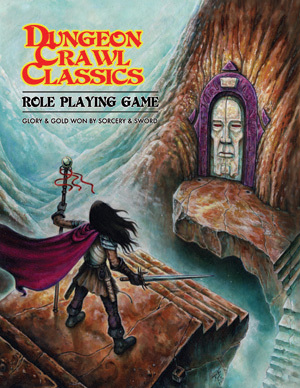 Goodman Games' Dungeon Crawl Classics is a system where the AD&D psionics system would be right at home. There's really zero need to change them in any way at all--DCC already has a heavy reliance upon charts, matrices, and tables, and since psionic combat takes place outside of regular combat, it isn't going to interfere with the way combat runs in a regular DCC game. As a judge in a DCC game, I would be 100% comfortable just dropping AD&D psionics in as they sit, with no changes whatsoever. If the GM needs to work in multi-actions, inserting psychic combat into regular combat, simply have psionic combat take the place of the primary attack of a given character, who can then make secondary attacks as they are permitted, be they additional psychic attacks or physical ones (or even using psychic disciplines). In DCC, all saves made by non-psychics against psychic attacks are Will saves. Bonuses are flat and do not accumulate per level. Learning powers requires rolling 2d6 each level. A result of 12 nets a new power. The required number decreases by 1 each level, so at level 2 you need 11, level 3 you need 10, etc. If you ever get to the point where you get a new power on 2, you can simply choose what power you want. Attack and Defense modes are gained as in OE. Psionic Strength is determined by subtracting 2 from psychic potential result (counting 0 as 1) multiplying your psychic potential roll result (not bonus) by 10, then adding 2 times psychic abilities plus 5 times the combined number of attack and defense modes. Dealing with percentiles in matrices (for chances to kill, etc.) is handled by dividing the percentage chance by 10 to get a bonus to a 2d6 roll, with a target number of 11. Thus, if you have a 40% chance to kill, this translates to a +4 bonus. Roll 2d6+4 and try to get 11 or better. Saving throws for non-psionics use the standard S&S rules, but apply adjustments as found in the Original Edition sourcebook. Those guidelines should handle using the OE psionics in S&S. 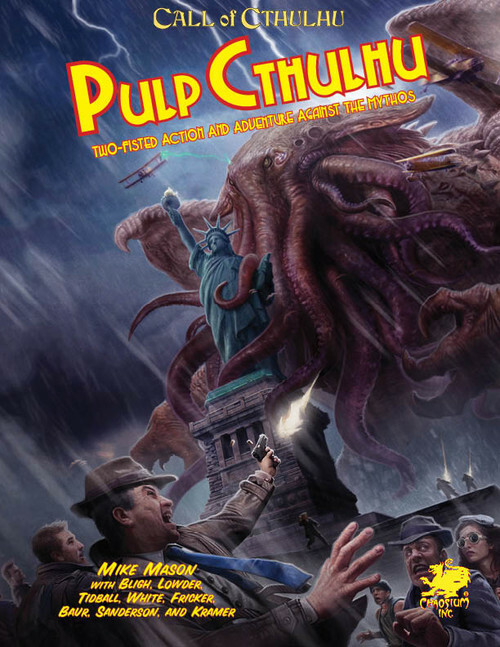 The excellent Pulp Cthulhu sourcebook for the current (seventh) edition of the Call of Cthulhu rules already contains very solid psychic powers rules for that system, and honestly, given the stark cosmic horror ideal of CoC, there's zero reason to change that. There may be those, however, that wish to run a more "cosmic" and less "horror" game, focused on worlds like those mentioned above, particularly Witch World or Darkover, both of which would translate very well to BRP. In these games, the OD&D or AD&D psionics rules would work out specacularly. Simply choose the power level of abilities you want (remembering that OD&D psionics are much more powerful than AD&D ones) and go with it. There are literally zero changes necessary, as the percentile-based psionics are already going to feel right at home in a BRP game, even if the resolution method is slightly different. In order to determine bonuses for high ability scores, simply divide the appropriate attributes by 5 (or use the 1/5 "Extreme Success" score for them) and compare the results to the tables in the AD&D PHB or the appropriate places in Eldritch Wizardry, whichever system you choose to use. The closest attributes in CoC to Int, Wis, and Cha, are Intelligence, Power, and Appearance. It requires a bit of a stretch to imagine that Appearance and Charisma are the same thing--if the Keeper desires, EDU could be substituted instead, on the idea that a high education equates to a keen mind. In such a case, Intelligence would translate over directly, EDU would equate to Wisdom (for psionics), and POW would equate to Charisma, your raw force of personality. Saving throws, again, are the biggest issue. In D&D they are based on the victim's Intelligence; in BRP they should be based on Power. The solution in BRP, instead of a d20-based save, is to base resistance of psionics on a POW check. A psionic attacking a non-psionic would make a POW check and the attacked non-psionic would resist with a POW check, as standard, comparing success level. Divide POW (not Intelligence) score by 5 and compare to the appropriate D&D table to determine the effects of a failed resistance roll. That's that, folks: a look at how classic original and advanced edition psionics can apply to other games, from other versions of D&D to completely disparate systems like Call of Cthulhu. Hope this one gets you inspired to give them a try in your game of choice! This is great stuff. While I would easily drop in the AD&D system into any and all of the games you mention, I would still prefer to find a simple solution for B/X and BECMI. Since for me psionics is one of the hallmarks of AD&D vs D&D (OD&D not withstanding). HOW I would do that I still have no idea yet. Well it occurs to me that converting percentiles into a d20 targetn number system would work out. The idea being that you are trying to hit 20 on a 20-sided die. You convert percentiles to a bonus by dividing the percent chance of success by 5, and subtracting the result from 20 to get your target number. Thus, if a power has a 90% chance of success, you divide that by 5. The result is 18. Subtracting 18 from 20 gives you a target number of 2. Your power succeeds on a roll of 2 or better. Which incidentally would be the minimum, because a roll of 1 should always fail. To eliminate the extra step, you can just assume the result of the divisor is your bonus and you're trying to hit 20. Thus, in the prior example you'd be rolling a d20 plus 18 and trying to get 20. Again, a roll of 1 always fails. If you want to bring ability scores into it, change the target number to 22, and add your wisdom or charisma bonus to the roll. It's not statistically perfect, but it drops the percentiles, and is close enough for government work. I've seen it. It's not bad, but the point of this wasn't to explore the concept of psionics in general, it was to look at the actual, official systems and how they work. Generally speaking, as a designer myself, I'm inclined to build my own systems if I want something other than what's there. Others might appreciate the link, though.